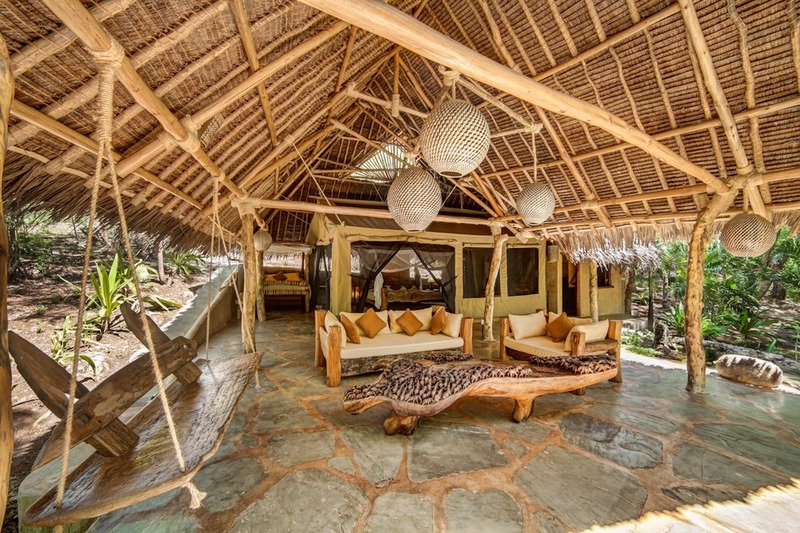 This spectacular beach tent is located on the same property as Tiwi Villa, and can be used with said property for larger groups. Possibility of adding extra people, as you can see in the picture there is a Lamu Bed on the verandah which has its own net, perfect for a couple of kids. Honeymoon Beach Tent is 20km south from Mombasa and is ideal for escapes to Africa! Imagine Camping in this lush-tropical ocean tent – The romance of getting back to nature, breathtaking exotic coastline, evenings by the ocean, romantic hidden location and all that with an excellent private service! Welcome to barefoot luxury, tucked away from crowds, in tall palm trees and facing the majestic Indian Ocean. Relax on your private veranda with massive Funzi furniture and soak into comfortable sofas made of heavy wood. This is a self catered property so you will have to bring your own food and drink.